But is the new fund just another rescue package? As the microfinance industry virtually crumbles in India–one of the world’s largest microfinance centers–the Asian Development Bank has just announced a regional $250 million risk participation program and fund to shoulder some of the lending burdens found across Asia. “Under this arrangement, commercial financing institutions which are developing microfinance operations will be able to achieve greater lending scale without overextending their risk exposure,” said Philip Erquiaga, Director General of ADB’s Private Sector Operations Department, in the official press release. ADB’s 67 member countries include those developed and developing, from Nepal to Vietnam, the Philippines, Indonesia, and Afghanistan and microfinance institutions (MFIs) will be approached in several of them, though the specific countries of choice have not been announced yet. Under the new scheme, ADB will assume 50% of the default risk on loans and partner with local MFIs that are already operating micro-lending. The partnership will allow MFIs to increase lending to greater numbers of borrowers without assuming all of the risk. “This program will allow microfinance institutions to expand lending to segments of the population who currently lack access to funds,” said Mr. Erquiaga. 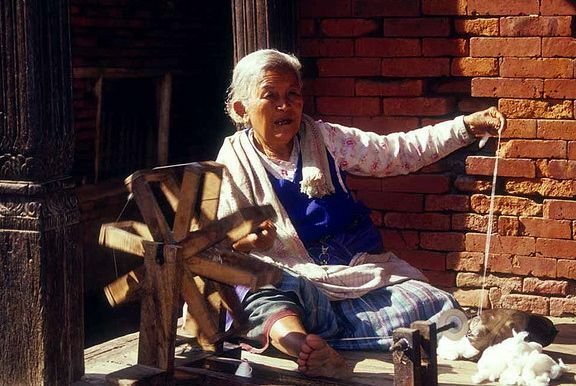 The Asian Development Bank has a history of supporting microfinance projects–since 1988 they’ve distributed $1.9 billion to microfinance projects. And as reducing and distributing “risk exposure” is the primary focus of the new fund, that may be what’s trumping any effort to expand lending to less traditional borrowers. That and the fact that the microfinance industry has received a fair amount of negative attention lately. Especially in India, crook lenders and borrower bullying is leading to a virtual collapse of the industry. So more than expand micro-lending, ADB’s new fund may just be a rescue package, not too different (except in dollar amounts) from any of the traditional bailout packages we’ve seen as of late.